Monitoring and control is concerned with checking the progress being made and evaluating the results against the expectations. This activity is at the core of Project Management. Project Management Institute (PMI) Website. COBIT (Control Objectives for Information and related Technology): a set of best practices for information technology (IT) management created by the Information Systems Audit and Control Association (ISACA). 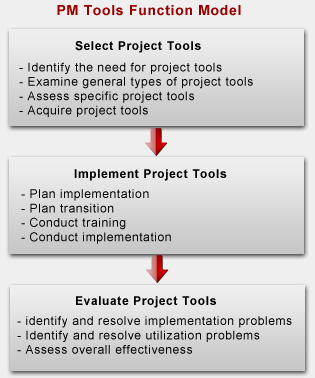 Tools are the means that help project managers team members and the other stakeholders to successfully plan, execute and monitor the different tasks of project in each phase.